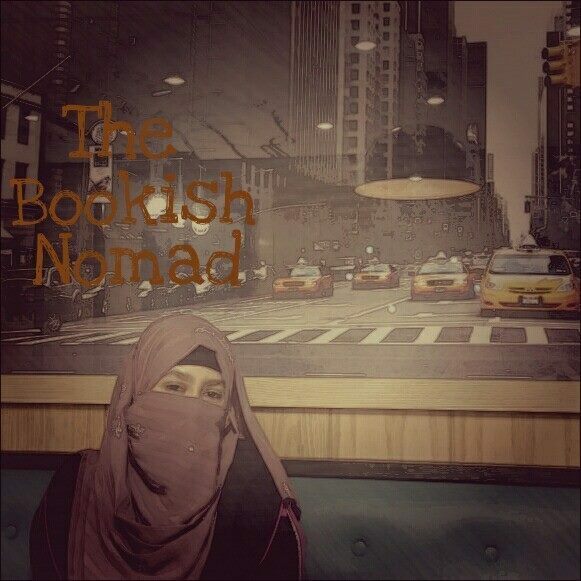 Our January 2018 featured blogger is Aisha, the founder of Aisha Writes and The Bookish Nomad. This Bookish Nomad loves to inspire people through her written words. She also has a special interest in learning the psych of kids. Some of her hobbies are, trying out new dishes specially those that involves PASTA, travelling around like a nomad, making sweet savouries and drinking coffee is her all time favourite activity. I started blogging in 2013 after a lecturer at my university suggested me to build my own audience. I was looking forward to publish my book sometime in the future and had discussed out the details with her and hence the suggestion came. I started my second blog just to share my hobby of reading, travelling and reviewing food that I enjoyed at restaurants. Although, my goal was to monetize but I haven’t gone so far in that aspect. My first blog – Aisha Writes, not a lot of thinking was involved. I had simply connected my name and my passion for writing. For my second blog – The Bookish Nomad, the name derived from my love of books and reading, and the fact that I was always on the go, either to hang out with my friends, picnic trips with family or travelling to university, hospital or different places to provide therapy and counselling. YOU WRITE ABOUT BOOKS ALOT, WHAT IS IT YOU LOVE ABOUT BOOKS AND HAVE YOU ALWAYS LOVED READING? I consider books my best friends, something I could always turn to and get no disappointment in return. When books are fiction, they are my way to escape from the harsh realities of life. When books are non-fiction, it’s an opportunity to learn more about the real world. When books are self-help, it is to help me become a better person. I loved books since I learnt my alphabets. Even as a child book stores, libraries were my favourite places. Reading in school was my most favourite activity. One of my strongest childhood memory is spending hours in the underground book store of Sahara Centre which is located in Sharjah, UAE. WHAT’S THE MOST CHALLENGING THING ABOUT BEING A BLOGGER AND BLOGGING? Going strong even when you may not be getting a lot of views, likes and comments. Sometimes the feeling that you might be just talking to nobody is very hard to accept. Though I am past that phase now because Alhamdulilah I have built a good number of loyal readers. AS A PSYCHOLOGIST, AUTHOR AND BLOGGER DO YOU STRUGGLE TO FIND THE TIME TO BLOG? HOW DO YOU ORGANISE YOUR TIME? Yes, I do struggle at times and have to keep blogging aside at times. I took a break from blogging during my final semester last year. What really helps me to go on is planning and organizing my time and planning ahead. Also, making use of any free time makes a lot of difference. For instance, while waiting for my client to finish a long psychological test, I resort to my own notebook to jot down a few ideas for my blog post. So when I sit to type my blog post the task doesn’t take a lot of time then. HAVE YOU EVER FELT OVERWHELMED WITH BLOGGING AND ALSO WRITING TO GET BOOKS PUBLISHED? Yes, I did. The best method to overcome the stress was to take a short break for a week so I could clear my mind and get back to working effectively. Alhamdulilah quite a few. I have got clients through my blog. Plus, my blog serves as a good profile when I have to apply for jobs. WHERE DO YOU SEE BLOGGING IN 5 YEARS? WILL YOU STILL BE DOING IT IN SHAA ALLAH? I am not sure about that. 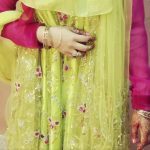 Maybe I would switch to a more mature theme of blog since here I usually share my personal reflections and I think I may not want to do that after I get married and have kids Insha Allah. I haven’t really thought much about it because currently my goal is to become the best psychologist in the Muslim community and along with that I am looking forward to publishing more books, by Allah’s Will. WHAT ARE YOUR FUTURE GOALS FOR YOUR BLOG? IS THERE ANYTHING SPECIFIC YOU ARE AIMING FOR? As mentioned above, if I start a proper professional looking website then I plan to offer short courses on self-developmental topics. WHAT ADVICE AND TIPS WOULD YOU GIVE TO SOMEONE WHO MAY BE THINKING OF STARTING A BLOG? Have a plan! I never did and I found myself lost several times. Ask yourself the purpose and for whom are you planning to benefit from your blogs. This will help you to get back on track each time there is a gap in your blogging. Wish you good luck!